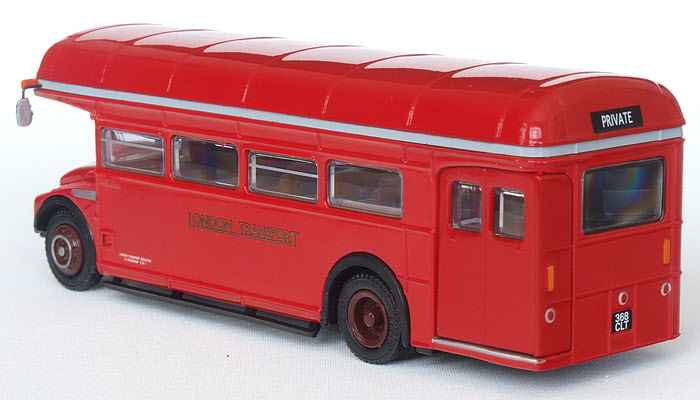 Livery Red with grey roof band and black mudguards. Gold fleet names. Notes This bus was converted to single deck layout following an arson attack which destroyed it's upper deck. 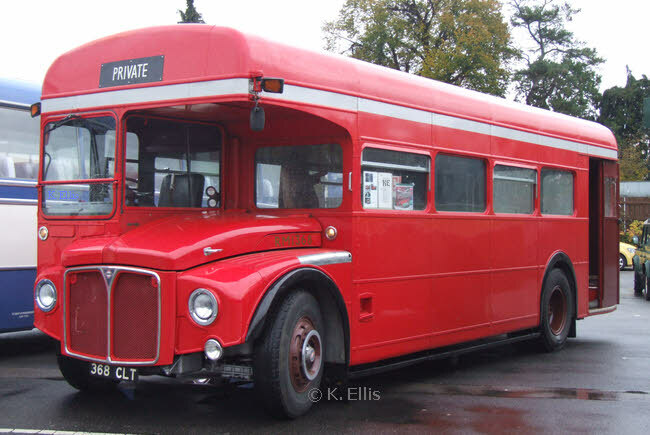 It was allocated to the Experimental Shop at London Transport's Chiswick Works and never operated in public service in it's single deck form. The vehicle is now preserved. 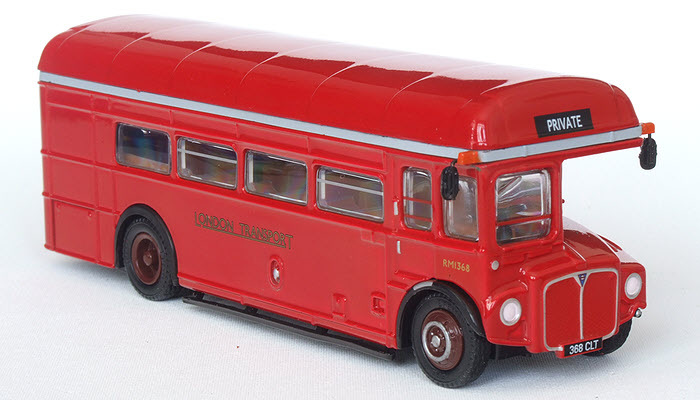 The model has a resin roof and rear doors insert.